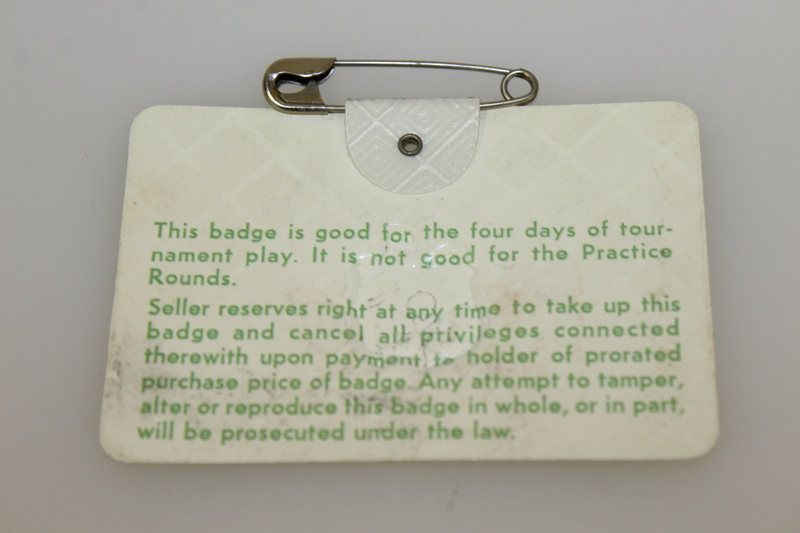 Here we have 1978 Masters Tournament series badge #22350. The badge comes in good condition with the original pin intact, the back of the badge showing some scuffs, please see photographs. 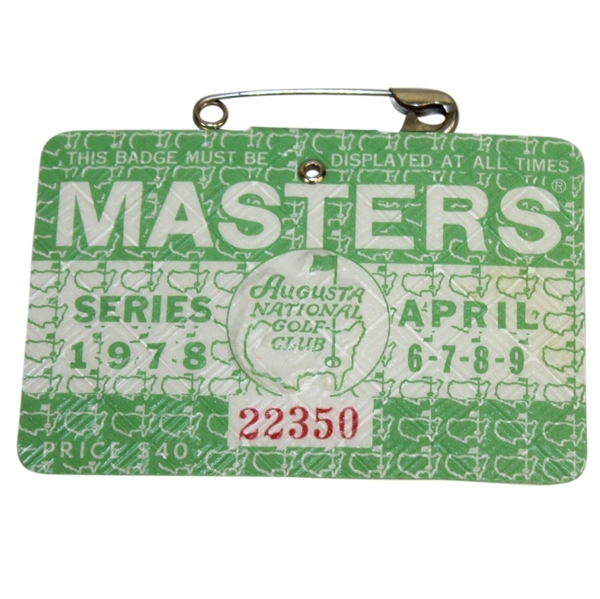 Gary Player won his third Masters title in 1978, overcoming a 7 stroke deficit in the final round, shooting an incredible 64.